In 1979 she assisted Mr. Yu Sunag Fai 樂崇輝 in setting up Mahayana Vihara 大乘精舍 which is an organization specializing in Buddhist publications for free distribution. She took the lead & undeterred by hardship planned & managed the Mahayana Vihara. She helped the setting up of the Mahayana Vihara Great Compassion Social Service for visiting & helping the poor, together with Master Ben Hui 本慧法師 it provides Shi Ren Scholarships 舒仁獎學金 & together with Master Qing Yin 欽因長老it provides the Master Hui San Scholarship 紀念慧三老和尚助學金. In 1983 the Mahayana Vihara 大乘精舍 organized the first Sanghadana at Fu Hui Temple 福慧寺. This generated a Sanghadana movement throughout Taiwan by different organizations & temples. From 1991 and for the next 13 years, she led fellow Buddhists to offer Sanghadana to monks and nuns throughout Taiwan Island. On 15 Oct 1994 she participated the Myanmar Nationwide Sanghadana, at that event she found out that Buddhists living at the Eastern border region of Myanmar were suffering great hardship where there is no electricity and no water supply, so she immediately provided funds to dig 2 wells, & later a fund was set up for hydroelectricity & a temple in that region. She attend the World Fellowship of Buddhist Youth (WFBY) General Conference in 2000 & later she went to Northern Thailand, Chiang Mai & Mae Sai to offer Sanghadana . 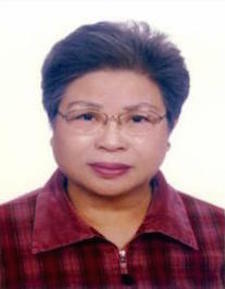 On 12 Nov 2009 she received the Compassionate Elders Award 慈暉長者 by the Taipei Buddhist Association 台北市佛教會 in recognition of her many years of social work. For the past 40 years, she assisted Mr. Yu Sunag Fai 樂崇輝 in setting up & managing the Mahayana Vihara 大乘精舍 making it an excellent Buddhist organization. Family & friends locally & overseas all praise her as a Compassionate Elder.